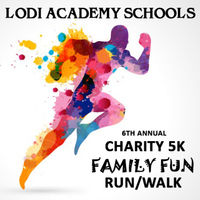 Each year Lodi Academy Schools holds a CHARITY FAMILY FUN RUN to bring together our community and raise awareness for a local non-profit organization. This will be our 6th annual event! 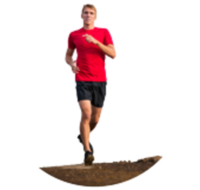 Each year we have highlighted a local organization as the focus of our fundraising efforts. This year the students have chosen Matthew 7:12 as the school theme. "So in everything, do unto others as you would have done to you." Basing our efforts on this text we believe that by working together with you, we can make a greater difference in the lives of our local community. In the last few years we’ve raised more than $39,000 for local support organizations including LODI 180-Youth Programs, 180-Lodi's Adolescent and Family Services Program, LODI HOUSE and LODI BOYS AND GIRLS CLUB! This year we have chosen Grace and Mercy Soup Kitchen and Food Bank as the charity beneficiary of the 2016 FAMILY FUN RUN. The Grace and Mercy Soup Kitchen and Food Bank, located on Sacramento Street in Lodi California, provides services to 42,000 people in our community each year. That includes food bags, hot meals, clothing, furniture, referrals, diapers and dog food to approximately 3500-4000 people monthly. Learn more about their work at www.gracenmercylodi.com. Purpose: Have a great time while raising money to benefit Grace & Mercy Soup Kitchen/Food Bank and our school!